I haven’t participated in a What’s Up Wednesday post in a couple of months because I was flooding this little ol’ blog of mine with some serious amounts of fall and Christmas posts. All of that has died down (along with a tiny part of my soul – I get so sad when Christmas is over!) so we are now back to our regular scheduled programming. You guys, I have a slow cooker and I just haven’t been utilizing its magical time-saving capabilities enough lately, so I’ve been on the hunt for some new recipes for it. I came across Mel's recipe for Slow Cooker Chicken Fajitas last week, and I was sold. Our kids both love Mexican food, so I’m trying them tomorrow. I’ll let you know how they turn out. When my sweet little baby girl was actually still a baby. You guys, she’s going to be two next month and I can hardly believe it. It really seems like just yesterday that I was nursing her for the first time in the hospital, and now she’s standing up in high chairs and talking back to me like she’s thirteen. We are for sure going to be in trouble when she’s a teenager. The fact that Jacob, our 4.5 year old is finally, finally, finally pooping on the toilet consistently. FINALLY. I seriously cannot even put enough finallys (finalies?) in this paragraph. And after hearing the word finally that many times it reminded me of the Friends episode with Jon Lovitz where he kept saying “tartlets” over and over again and now I’m cracking myself up – “the word’s lost all meaning.” Hehe. Anyhoo, yes. I haven’t really been mentioning this too much on the blog simply because I know that people do not want to read about anyone’s kid’s bathroom habits (or lack thereof), but now that’s it’s finally happening I just want to shout it from the rooftops! We have just been having a time getting this boy to poop on the toilet. It’s been a disaster, a nightmare, a train wreck, whatever you want to call it. Yes, really that bad. And what we’ve been through cannot possibly get much worse. Ok, maybe it could get worse. He could be smearing it on the walls or something crazy like that, I suppose. We did have a poop on the floor incident, but I’ll spare you those details. I’m probably jinxing us by even talking about this just yet because it’s only been a week since he’s been accident-free, but believe me, that is a big deal. And if he keeps it up, then I will probably be sharing a Poo-Poo Party with you on the blog in the next couple of months. I know it’s everything that you’ve ever wanted in a blog post. Lol. Not really a lot since the holiday hullaballoo and baby shower hosting duties are over. If you missed it, my Momma and I threw a Winter Themed Gender Neutral Baby Shower back in December for my brother and sister-in-law. It was simply gorgeous and the surprise at the end was the icing on the cake. 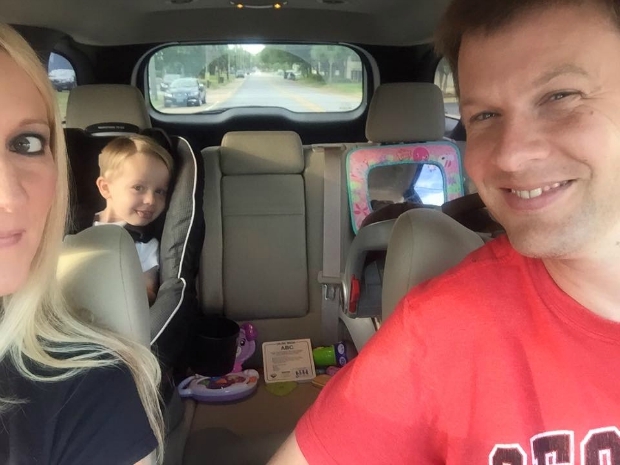 We did take a trip to Atlanta last weekend for a change of scenery, and that was a blast! You can see the recap here. That ferris wheel is a humdinger. Hubs is going out of town for work for a few days in February, and then again in March. It’s a little extreme to say that I “dread” it when it happens, but it is definitely taxing and it makes for incredibly long days with no room whatsoever for downtime. I work full-time and I have to get the kids to two different schools on opposite ends of town before getting myself to work by 8 AM, then I have to get them picked up afterward, and do the whole dinner, bath, and bedtime thing all by 8 PM. Whew. I’m cringing even thinking about it. Hats off to all of the single mommas out there! You guys are rock stars! I’m still in the process of making 2016 my year of “less.” Less clutter, less junk, less shopping for things we don’t need, etc. to make for a lighter, more carefree 2017 (that's the dream, anyway). I’ve already decided that the goal for 2017 is to use the word “live.” And I feel like I can do that better once there is less in my life to worry about. You can read more about it here. I’ve gained a lot of new followers here on the blog in the last couple of months, and that just makes me so happy. I feel like the blogging community has welcomed me with open arms and it’s been such a blessing connecting with all of you sweet ladies. One of my goals is to “get the blog all caught up” (mostly for myself) to make up for all of those years that I didn’t blog (and I’m now kicking myself for). This means some fun looks back on our wedding, my pregnancies, and lots and lots of travel posts await, and I’m excited to share each and every one with you. I also have some plans to make some changes to the overall appearance of the blog – a new head shot (since mine is currently a poor resolution photo from almost two years ago), and some tweaks (or overhaul) to the layout. I’m still using the initial basic layout that I created myself when I first started (and had no clue what I was doing), and I’d like a more professional look. A new layout is still a ways off, but in the meantime, I wanted to take a poll. I’ve had the black polka dot background almost since the beginning, but I’ve always toyed with idea of doing away with it and just having a plain white background since it gives a cleaner, more professional look. 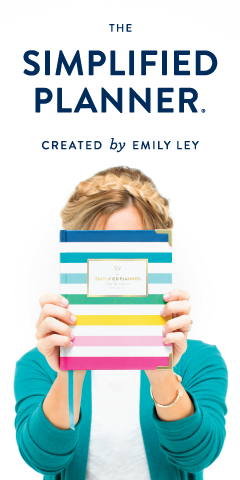 A lot of bloggers seem to be doing this now, so I’m torn – should I change mine or leave it? I honestly love the way that it looks both ways so I thought I would reach out to my favorite ladies for your opinions. Here are the two shots – let me know what you think! And be honest! 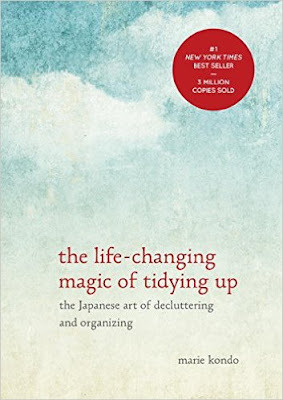 Reading – The Life-Changing Magic of Tidying Up. I finally jumped on board with this book to help with my quest for less (see above) and I’m really liking it so far! While it’s a little odd (socks have feelings?) it has also really helped me to let go of a bunch of crap that I’ve been hanging onto for a long time for absolutely no reason. Hence, the six trash bags full of stuff that I was able to let go of from my closet alone. A little bit of this, a little bit of that. It’s always hard to get back in the swing of things after aaaall the Christmas music, but some of my tried and true faves are my beloved Dave Matthews Band, Phillip Phillips, JT, and random favorites in my “Favorite Songs of All Time” genre on my phone. I’ve actually been shuffling my entire library lately and boy, does some random stuff pop up! I’m looking at you, Hamster Dance Song! For the love of all that is holy, why is that in my iTunes library?! Lots of skinnies, boots, and scarves. Oh, and sweater dresses. In 2015 I was recapping my outfit posts weekly, but I’ve decided to do them on a monthly basis instead, so each What I Wore post will be up on the first Wednesday of each month. January’s recap will be up February 3rd. And not sure if I’ve mentioned this here or not, but for the entire year of 2016 I’m trying not to repeat any outfits. No, I do not have 365 different shirts or anything crazy like that. I’m just trying not to wear the same combination of clothes more than once in the year. So I’ll be mixing and matching and changing up shoes and accessories to make each outfit different each time. That challenges me to be a little more creative with what I wear and I’m trying to wear everything in my closet, including some of the stuff that usually collects dust. So far I’m 27 days strong so we’ll see if it lasts. It’s going to be quite a challenge! Date night!! We attend a fundraiser ball every year and it is this Saturday night, so the babies will be off with Nana and Poppie while hubs and I get gussied up for a night out. And this year the ball is at a different venue, and I’m excited to see it! 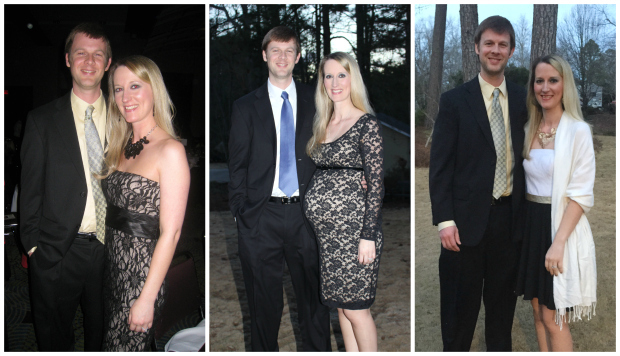 And just for fun, here are some pics from previous fundraiser balls. Spending the whole day with Olivia on her birthday. Brian and I always take off of work for each of the kids’ birthdays and we spend the day with just them, while the other sibling is at school. That way they get our undivided attention for the entire day and we take them to do fun stuff! You can see my recap of Jacob’s special day last year here. 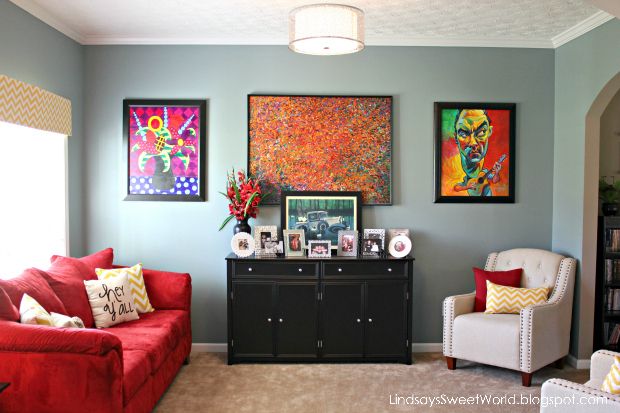 I finally started sharing our home in my new Home Tour Tuesday segments. You can see what I’ve posted so far below..
That about wraps it up! Don’t forget to let me know which background you think looks better for the blog! 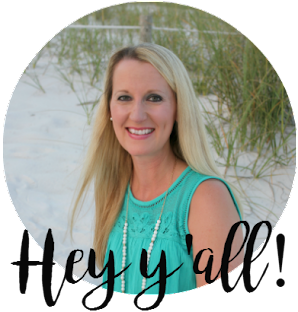 *Linking up with Shay, Mel, and Sheaffer for What’s Up Wednesday and Jessi's Design for What's Hap-"Pinning" Wednesday. Enjoy your date this weekend! I'm a sap for showers and parties, so I had to go back and read your post...beautiful, beautiful shower you hosted!! 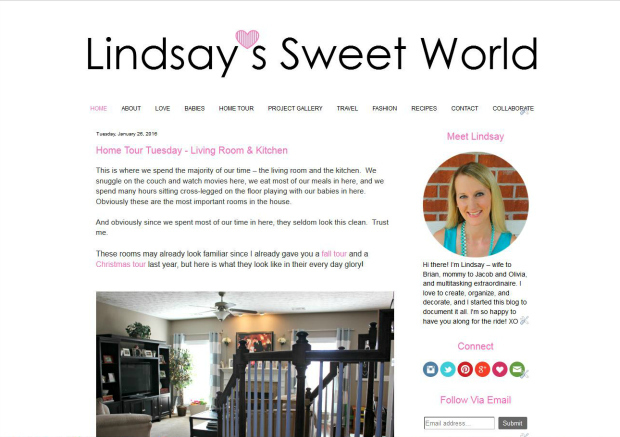 Both blog background options are great, but I tend to lean more toward the clean and fresh look myself these days. Happy Wednesday! Love the shot of the ferris wheel! Thank you so much! It was pretty scary up there at first. I love everything about this post! I like Background Option 2 the best. And I totally do the same thing for my kids' birthdays and take the whole day off just to spend with them. And thank you for voting on the background! I think I'm leaning toward the white background as well. Love this post, the picture of you and your sweet girl put a smile on my face :) I like the polkadots but I also really like the plain back drop too! Thanks, Annie! I think that I'm leaning toward the plain background as well. I dreaded the same thing for the last month and my day finally came. My husband left Sunday morning and comes back Friday night. And I have twins. Ugh. It was hard. I feel you on dreading it. It is hard. I work full time, then do as you do...dinner, clean up, bath, bedtime routine and taking care of the house. It is exhausting. I think the white background looks great. Simple and classy. I love going through my house and decluttering and getting rid of stuff. It's such a good feeling afterwards. 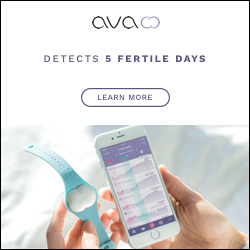 Love that photo of you & baby Olivia! I am also alllll about cleaning out & purging. I have that book, but haven't read it yet....I need to! Hope you liked the fajitas!! !